How My Site Generates ﻿﻿200﻿0 Leads Per Month﻿﻿﻿﻿﻿﻿ Using Ninja Quoter! 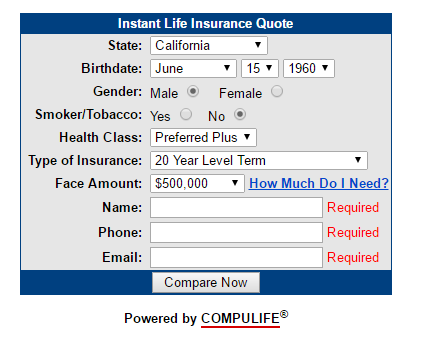 You’ve thought of adding a life insurance quote form on your site, but don’t know where to start. I've been there, and have the perfect solution. 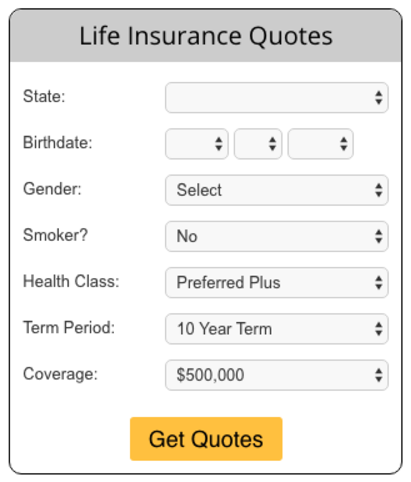 In this post, I’ll teach you the simplest, quickest way to add insurance quotes for people on your site looking for life insurance companies using Ninja Quoter's website quoter, AND how to make a ton of money in the process. Your traffic is worthless without a lead capture tool. 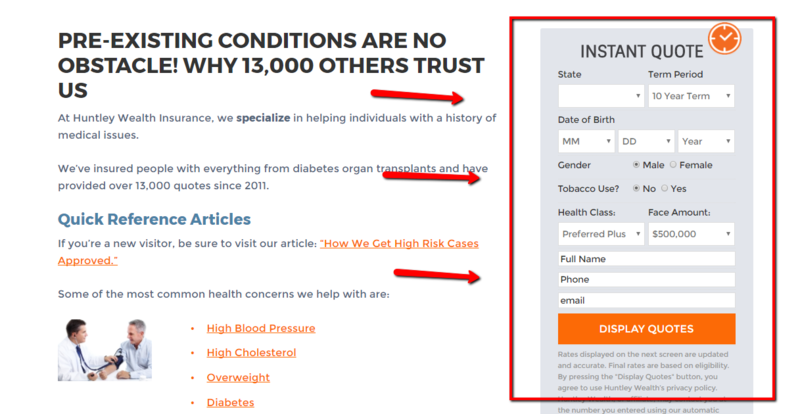 You’ve got to be able to offer your visitors something compelling in exchange for their contact info. 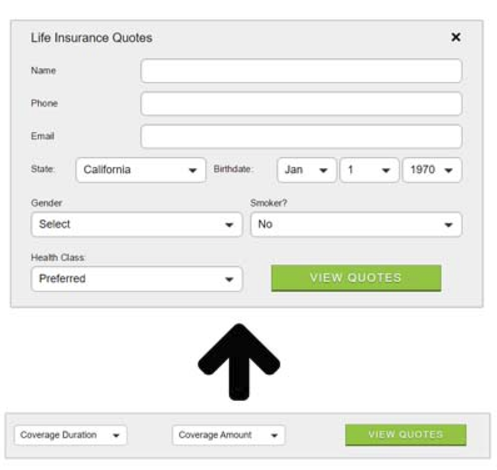 On all my sites, I do that by providing my visitors free life insurance quotes. 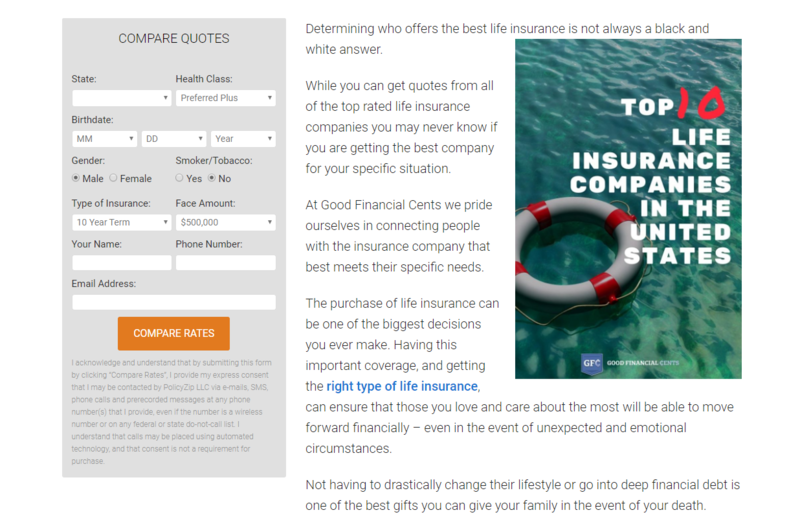 ​After testing multiple quoter widgets, I've found the best way to add those to your site is through Ninja Quoter. I custom built my quoter. 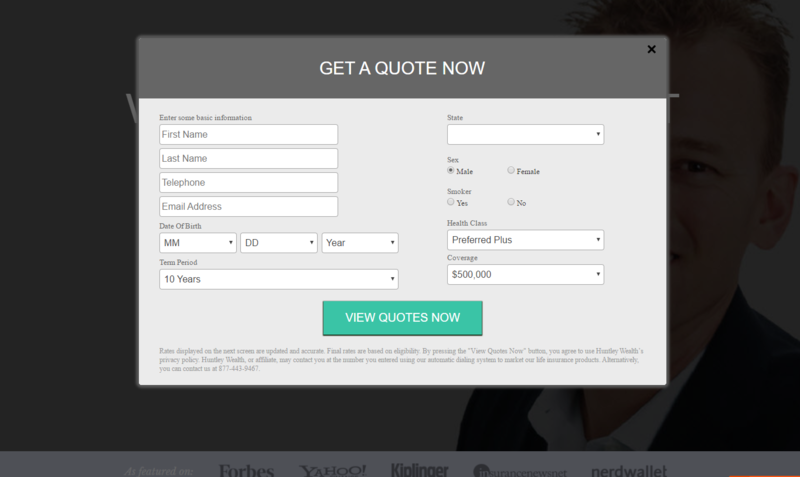 Ninja Quoter *can help you get custom designs on your site too. *However, custom design changes are not included in their plans. It's a paid extra. You simply choose from one of their multiple, beautiful forms, adjust the colors and text to your liking, and you're done! Trust me. If a dummy like me can do it, anyone can! 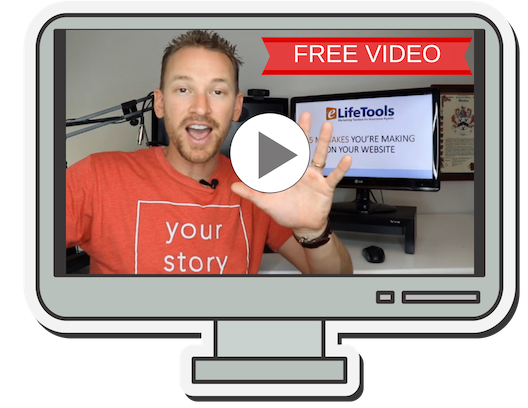 Want to see me create a widget and add it to my site in minutes? Watch this video! TRY NINJA QUOTER FOR 30 DAYS FREE! 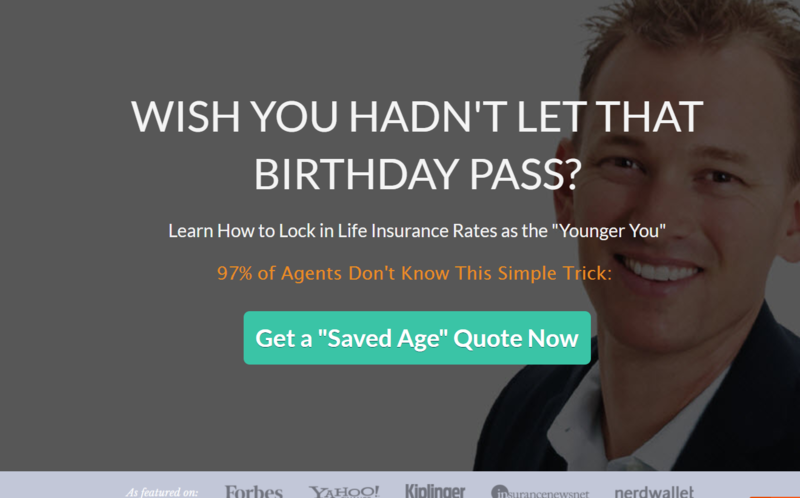 If you're serious about generating life insurance leads online, I recommend you try Ninja Quoter. I have been using them for all my life insurance forms for a year and I'm never going elsewhere. ​Want to take a peek at my personal dashboard? Here's what it looks like when you first log into Ninja Quoter. This video explains what to do step-by-step. Ninja also has videos explaining the process. Ninja Quoter allows you to choose a pre-built form, then quickly and painlessly modify the colors and text to your liking. My favorite feature! Clone and test all your variations to see which one performs the best! A lead generator's dream. 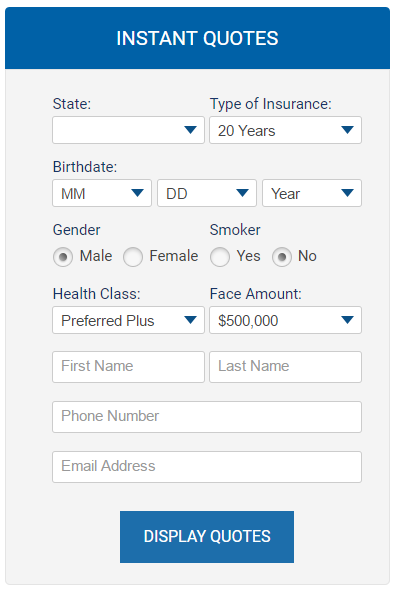 With a simple click of the "clone widget" button, I cloned my IBBC sidebar form. I then made some color adjustments to it and named it the blue/orange version. After a couple thousand visits, I analyzed my stats in Ninjalytics and was able to see my new orange and blue form did not beat my current form. 4.4% of visitors ran a quote using my regular form, while only 3.2% requested a quote with my blue/orange version. Super important information, and so easy to test! Watch this video to see how easy cloning a Ninja Quoter Widget is. 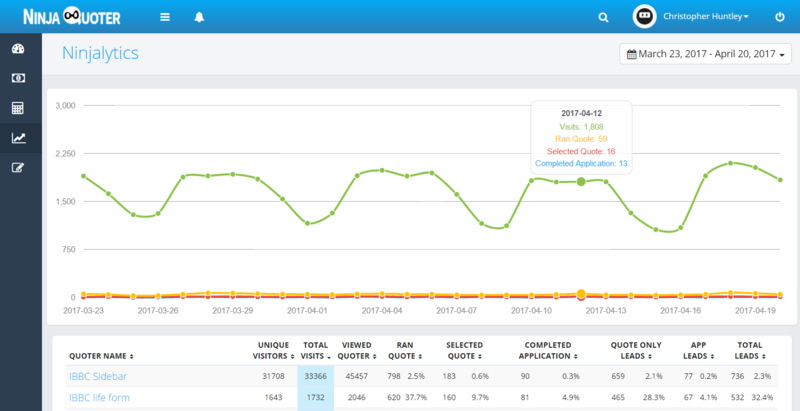 Ninja Quoter allows you to get a quick view of all your quoter widgets and their performance individually as well as throughout you site as a whole. You can also adjust the dates it displays. Super cool and like nothing I've ever seen at Compulife or IE Network. 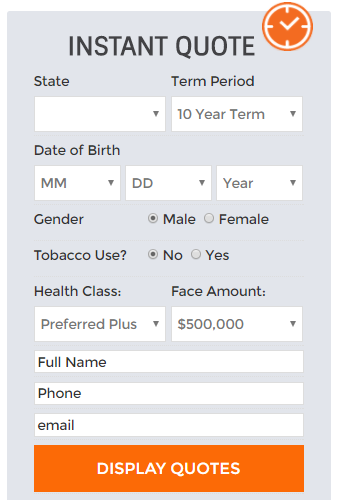 It also shows you how many of the quote requests turned into application requests. This full-length quoter makes an awesome addition to a sidebar quoter. Simply place it throughout your blog post to help generate more leads! Ninja Quoter allowed me to quickly change my button text and colors. I created this below, which I was able to add to my site in seconds. For many years, I used Compulife Quotes on my website. It was quick and easy, but they had several major problems. Ninja Quoter comes with over a dozen beautiful forms out-of-the-box, and they're customizable. Add in Ninja Quoter's Cloning/AB Testing and Ninjalytics features and it's a no brainer. *Please note I am a Ninja Quoter affiliate. That means if you use their trial and end up becoming a paid user, they'll kick me back a commission. As you'll see in this review, I'm "all in" on Ninja Quoter as a personal user, and would recommend them with or without our affiliate relationship.